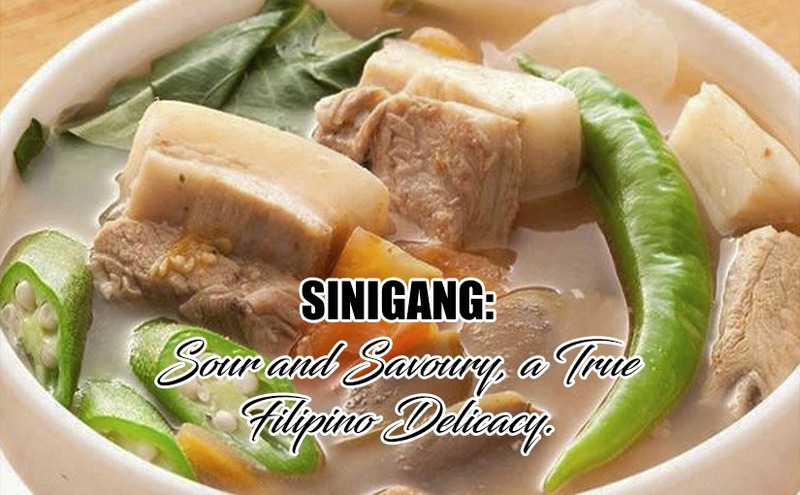 Sinigang is one of the many traditional dishes that has been and will continue to be relished by most Filipinos. It’s simple yet classical kind of broth that is distinguished by its pleasantly sour and savory flavor and usually associated with tamarind or “Sampaloc”. This soup is a very versatile dish. Though it’s a dish that can be found in the homes of most Filipinos, there are different varieties of cooking Sinigang – beef, pork, chicken, fish, and shrimp. Sinigang is marked as a Filipino comfort food for it cools the body during hot conditions due to its tangy taste. For some reason, the sour broth can make the body sweat, which helps it cool especially during sultry days. Sinigang is perfectly paired with boiled rice. What are the ingredients and how to cook it? Pretty easy! Sinigang is a household dish. It is fast and easy to cook. Basically, you just have to put everything in one pot. The ingredients are simple and can be easily found in the wet market. You can choose any meat such as beef, pork, chicken, or seafood such shrimp and fish. Add vegetables and spices like onions, tomatoes, radish, taro root, legumes, water spinach, chili fingers, and a souring agent such as tamarind, ginger lily, lime, or lemon. You can also add some fish sauce to taste. This broth is effortless and uncomplicated, yet very classic. It’s a delicacy that represents the Filipino culture and portrays the simplicity of how Filipinos live and at the same time depicts the creativity of the people. So, if you’re planning to come and visit the Philippines on your next trip, make sure to include Sinigang on your must-try list.